Global2 is a CampusPress network with all technical support and user guides are provided by the Edublogs team. If you are not able to find what you need in the user guide contact the Edublogs support team at global2@edublogs.org. The Department of Education and Training has attempted to add all Catholic and Government school user email address domains into Global2 to allow these schools to join or create a new blog automatically. This allows us to know all of the members of the Global2 community. If you experience difficulty signing up please contact global2@edublogs.org to have your school domain added. The Global2 licence allows all teachers and students of Victorian Government and or Catholic Schools to have as many blogs as they can handle. If you are an Educator in a Victorian Government and/or Catholic School and are not able to automatically join Global2 please contact global2@edublogs.org to have your school domain added. Can I use Global2 to work with my sister school overseas or include someone who is not from a Victorian Government and/or Catholic School? We just ask that you commit to being a chaperone to your guest/s within Global2. Set them up as a teachers would set up a class ensuring that each blog has a Victorian Government and/or Catholic School teacher as an administrator. Contact us if you have any issues. 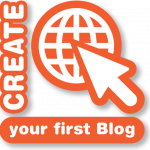 How do I include Parents in Global2 blogs? Sharing your/ your students work with parents is an important part of Global2. You might want to share a whole blog or just a page. It’s up to you Go to the Privacy settings (Settings > Reading) to select who can see what and (Settings > Discussion) to determine who is able to comment on posts. One handy option is to set up a password on any student blogs you want to remain private. Sharing that password with each parent. To ensure that we know who all of the members of Global2 are we are unable to add anyone who has not been endorsed by the School’s Principal.